In this lab, you have to config the routers both HQ and BR-1 to make the connection throughout the network and with the Internet. Enable and set IP address on LAN interface of each router to be the last assignable IP of each subnet. 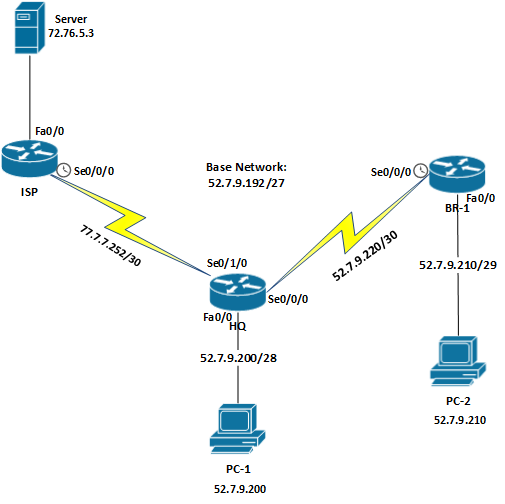 Set default route on each router to let both PC-1 and PC-2 be able to connect to the Server (72.76.5.3) in the internet. Static route: allows you to educate the router to new places.